Unique take on the Staunton design. Bases covered with leather pads. 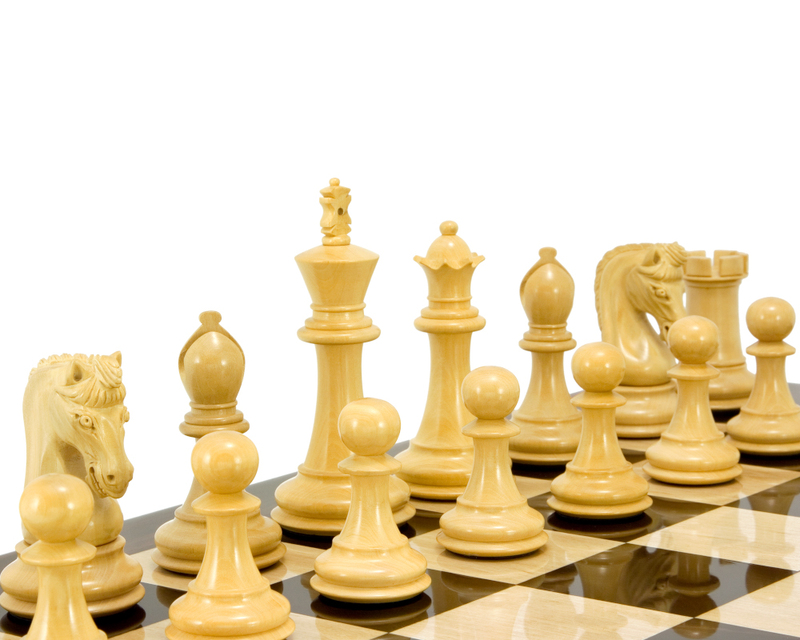 The Canterbury Knight Series chessmen represent a unique take on the classic Staunton design with a few notable features that set them apart from all of our other luxury chess sets. 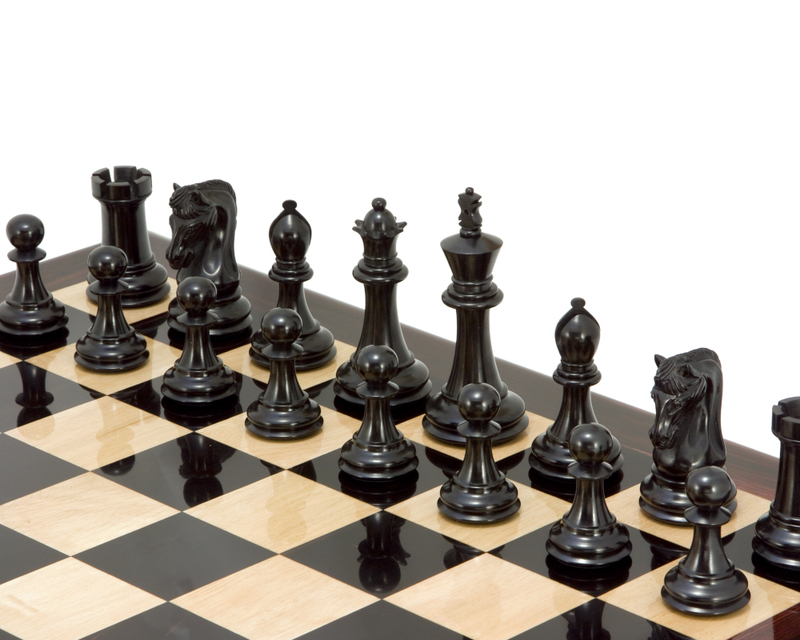 They have earned their place in our prestigious Regency Chess Collection for their unsurpassed quality and elegant design. The 'quiffed' knight is toned and muscular with supremely realistic carvings. 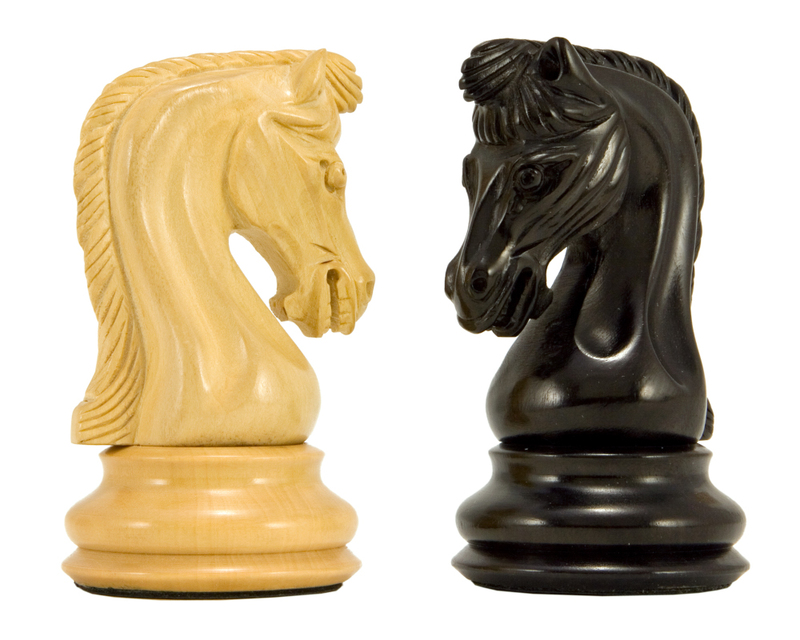 Its face is fierce; all four of the knights in each set are uniform and have been crafted to an extremely high standard. The queen has an accentuated fanned crown which gives her a unique and special appearance. 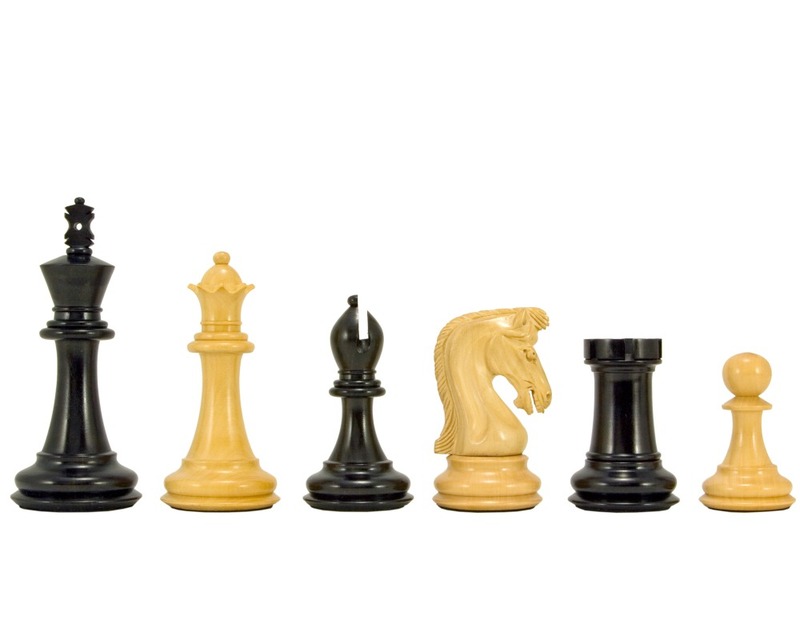 The most notable thing about the whole set however is the finial of the king, which is elongated and features a decorative hole in the centre. 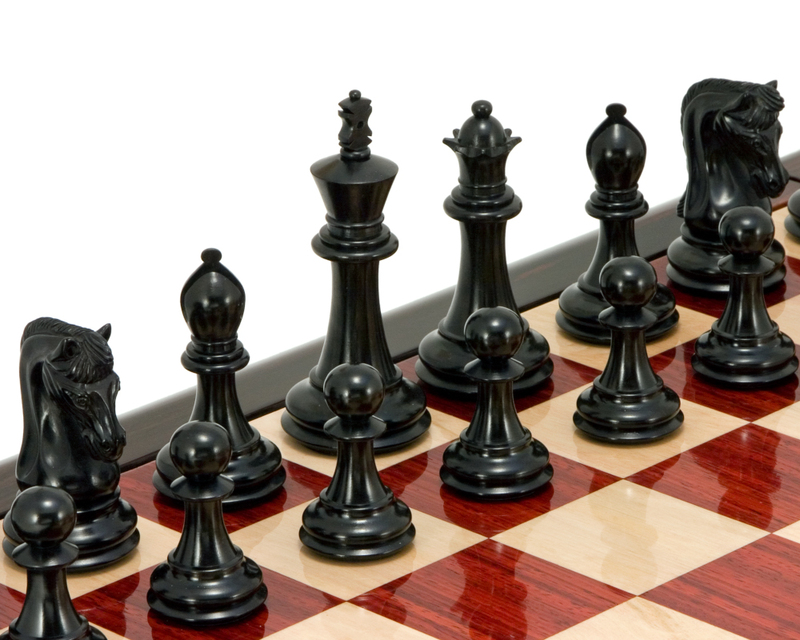 The set has been expertly crafted from fine black ebony and clean grained boxwood, the chessmen are triple weighted and have real leather pads on their bases. We have produced these sets in very limited numbers and have applied our limited edition certification to each set. 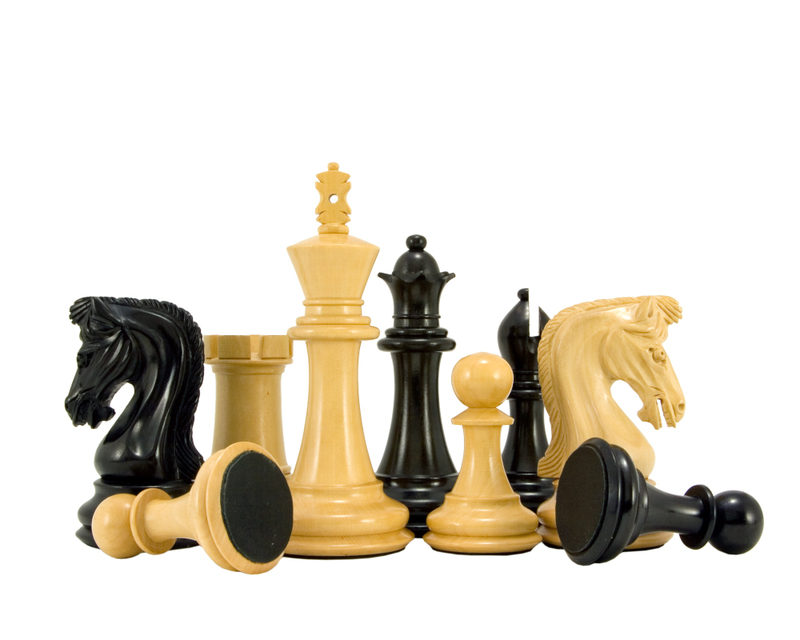 If you are looking for unsurpassed quality then these lovely chessmen should certainly feature on your shortlist. They represent an investment grade item of exquisite craftsmanship and are made from extremely scarce and valuable woods. 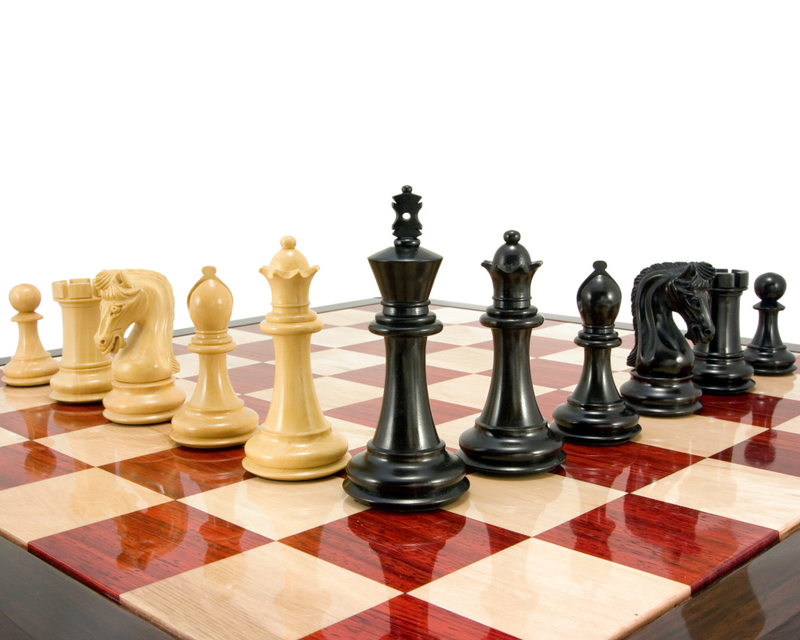 These chessmen will sit perfectly upon any of our boards that are 23 inches or larger.